Do Drivers Hit Cyclists Because They Hate Them? November and December are supposed to be about getting together with family and friends to enjoy each other’s company, celebrate holidays, and close out the year on a high note. Unfortunately, for far too many people, driving during the holiday season can be incredibly dangerous. Just this past weekend after Thanksgiving news channels were reporting an increase in traffic accidents everywhere. In Pennsylvania, nine people died. Holiday traffic in Virginia claimed 11. And right here in Florida, Saturday crashes alone resulted in nine deaths. Most of us have probably heard that we need to be careful when driving during the holiday season, and these numbers are definitely more ammunition for that argument. But what is it, exactly, that makes getting in your car so dangerous this time of year? People don’t need a reason to get into car accidents. On any given Tuesday, we do stupid things while driving. Speeding because we’re late for work or to pick up the kids. Forgetting to use our turn signal to change lanes. Following too closely. Reaching for that Big Gulp at the wrong time. And, of course, we’re increasingly distracted by things like smartphones and GPS systems that take our attention away from the road. In fact, the CDC says that distracted driving causes about 1 out of every 5 accidents in the United States, and some studies put this number even higher. All of these bad habits come into play in holiday accidents, but they’re exacerbated by other factors that truly make the roads deadly. Here are just a few things that cause driving problems during this season. Excessive traffic. Sure, we complain about the traffic no matter what time of year it is, but there’s no denying the fact that it gets a lot worse around the holidays. Everyone is out trying to shop in their few hours of free time, which means longer drive times and more bumper-to-bumper traffic. It can even make things worse for pedestrians, especially in areas like shopping mall parking lots, where accidents drastically increase. Stress. Obviouslystress isn’t something that just occurs around the holidays, but most of the rest of the year only some of the people out on the road are stressed some of the time. When our entire society is worried about getting the perfect gift, making sure the meal is ready on time, or putting up with annoying relatives, the communal stress level goes through the roof and driving becomes more frantic and panicked. Inclement weather. Couldn’t leave this one off the list, could we? Even in areas with a “nice” winter climate, weather can play a role in accidents during this time of year. If you’re not worried about ice, snow, or even rain, as many areas of the country are, then you have to deal with it getting dark earlier because of daylight savings. Many people underestimate the impact of darker roadways, but they can definitely lead to accidents. Celebrating. As much as we’d just like to blame the weatherthat wouldn’t be very honest or helpful. One of the biggest reasons people end up in holiday car crashes is because they were driving home from a holiday party or get-together with loved ones where they decided to cut loose and have a few too many drinks. Because there are so many of these types of events happening during this time of year, there tend to be a lot more impaired people on the road. That’s never a good thing. No one wants to be stuck in the hospital when they’re supposed to be eating delicious meals and opening presents with their loved ones. Luckily, there are plenty of things you can do to lessen your chances of getting into an accident. Shop early or buy online – the best way to beat holiday traffic around stores and malls is to simply not go there. Put down the phone – the best way to avoid an accident when you’re driving is to pay attention. Follow these tips and you’ll make sure this stays a happy and joyous season for you and yours. Steven Slootsky is a 1985 graduate of Nova Law School, which means he’s been a practicing Fort Lauderdale injury lawyer for more than 2 decades. He founded the Law Offices of Slootsky, Perez & Braxton in 1991. 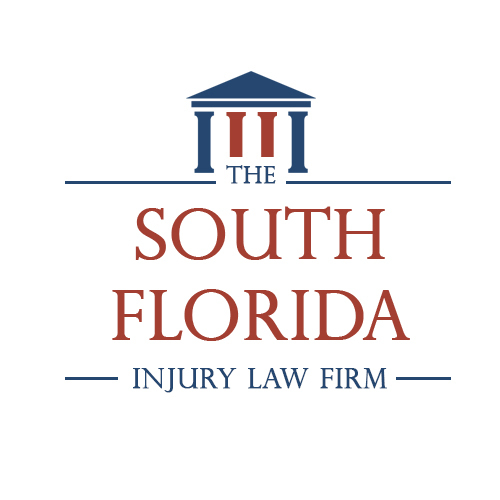 The Fort Lauderdale-based accident attorney is a member of the Florida Bar, as well as the Federal Bar for the Southern District for the U.S. District Court. During his career as a personal injury lawyer/auto accident compensation attorney, Steven has served as the co-chair of the Workers' Compensation section for Broward County, Florida. He is also a Bronze member of the Florida Workers Advocates, a former member of the board, and serves as an “Eagle” member of the Florida Academy of Trial Lawyers.